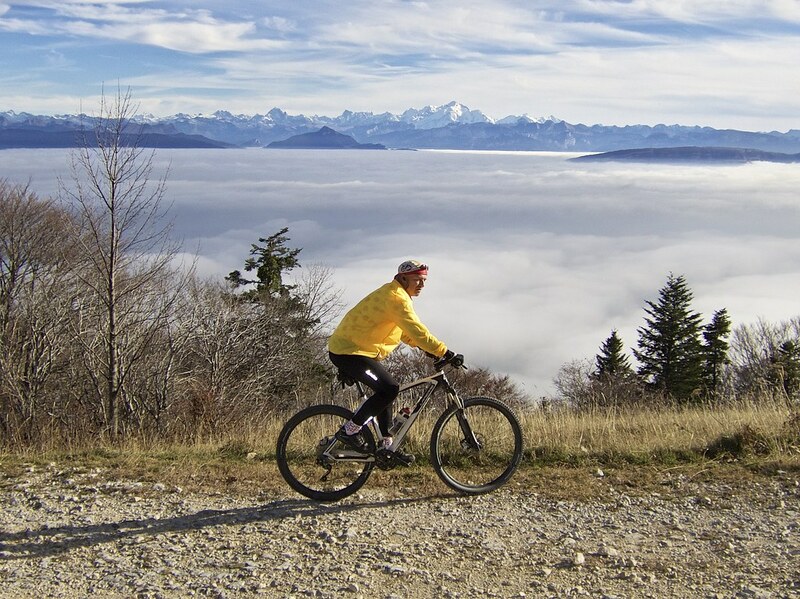 Every year the Geneva basin spends much of late autumn under low inversion clouds. Below, the world feels dank, foggy, miserable. But some of us know that the sun is only a climb away. The profile above extends perhaps a kilometre above the geographic col. The high point of the route is roughly 1510 metres. From here, the road becomes paved again. In fact, this far side is one of the highest paved roads in the Jura mountains. See here for the ten highest. It’s a fun, gentle, quiet descent for several kilometres to Col de la Faucille (1323m). 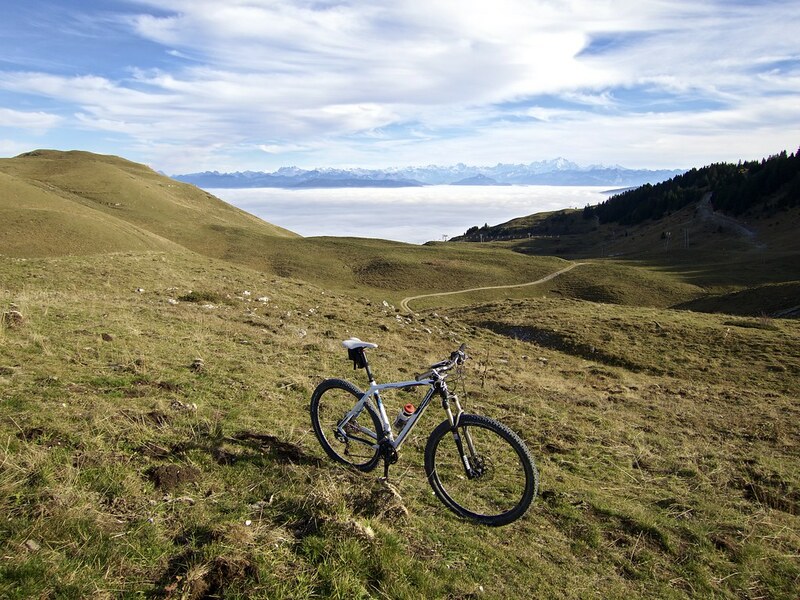 Col de la Faucille, while one of the best known Jura climbs, is far from my favourite. The road can have fast traffic, with trucks. Don’t get me wrong: It’s not terrible, and quite popular among local cyclists (who perhaps don’t know the other, far quieter, paved options nearby like La Barillete, La Vattay, or La Baudichonne). Anyway, I enjoyed the fast descent. 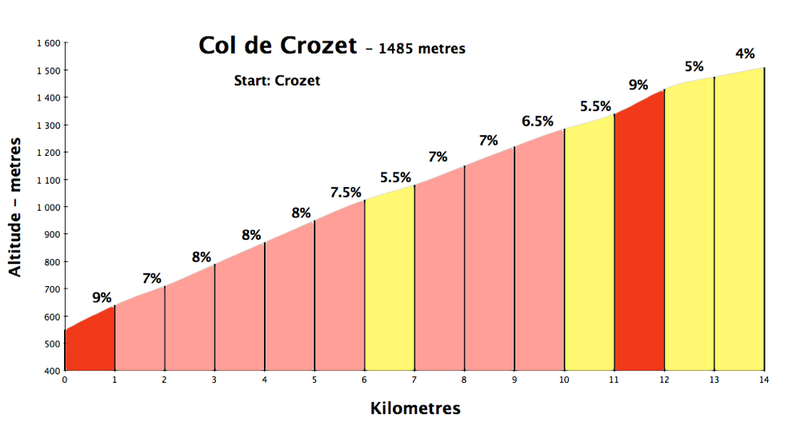 The last time I climbed Col de Crozet, I descended via Col de Combe Blanche (Col de la Vattay). A longer, but much quieter way down. Recommended if you have the time. See here. 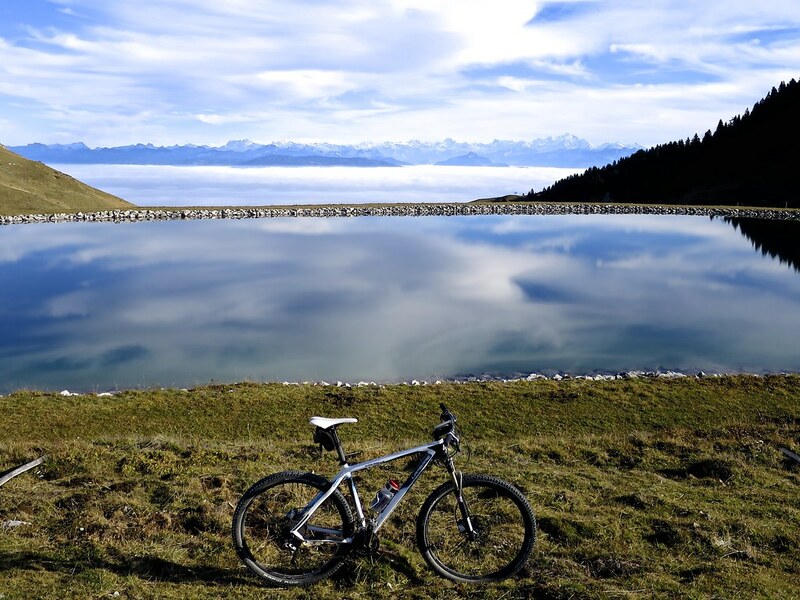 I also like this tour very much and climb to col de Crozet several times a year. As you, I prefer to go down via the col de Combe Blanche (which I discovered thanks to your website), or La Vesancière. 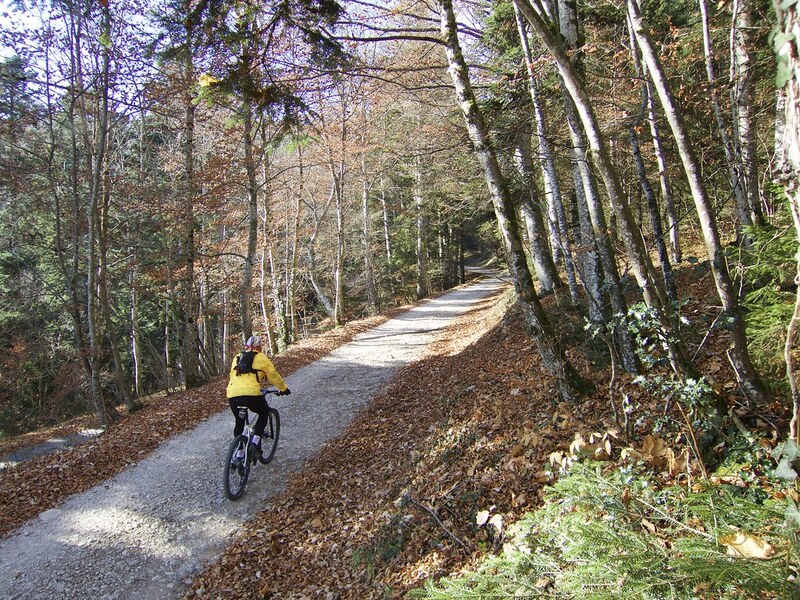 There is also a very rocky track (not nice) descending on Mt Jura’s northern slope, to Lélex, from where it’s a nice ride back to Geneva via col de Menthières and col du Sac. I discovered your website some time ago and I really like it. Also seeing your reports about this climb to Col de Crozet, I relly wanted to give it a try myself: my problem: I don’t have a mountain bike. I very frequently cycle the first 5 paved kms with my road bike and it made me sad I couldn’t go further. So on the very same day as you (Nov, 14) I gave it a try with my city bike. However, I discovered that the road is really bumpy and rocky, I didn’t like it. I climbed about 3 km on this gravel road (I can’t really say, I didn’t have a bike computer or gps). Not knowing how far it is and really being annoyed of the shaking I turned around. On the way down the chain protection of my city bike broke off :P…Bottomline: I need a proper montain bike to come back and do this!